Pascal Michels is an IESE Business School veteran. 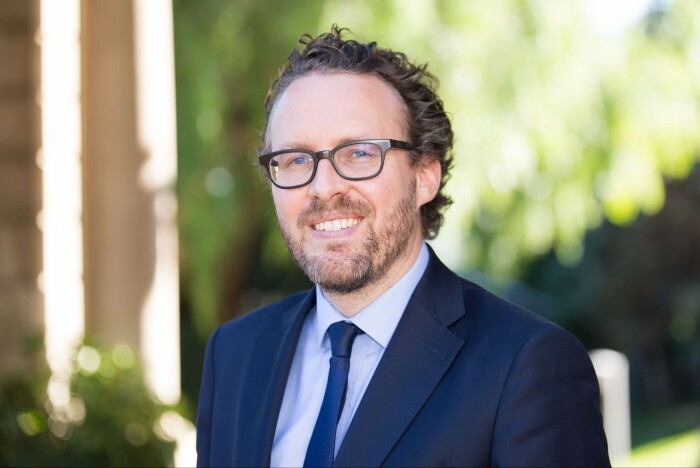 He graduated from the IESE MBA program himself in 2010, and though he spent five years away, he soon returned to work on the other side of the admissions fence. Today, Pascal is the MBA admissions director for the whole program, casting his eagle eye on the world of MBA applicants to bring the best possible talent to IESE year on year. So, what makes an ideal candidate for Pascal? The GMAT, Pascal asserts, can sometimes dominate an application, when there are in fact manifold strings to an MBA’s bow. Thus, he says, he is willing to see past an MBA candidate’s GMAT score, and recruit them if they have great professional experience and the outcome of the interview process and face-to-face interaction is promising. As Pascal notes, he comes across many MBA candidates with impressive work experience resumes. What is adequate enough, though, to make an applicant catch his eye? And do candidates have to come in boasting a reel of corporate names? “I would say that probably 10 years ago the importance of recognizable brands on a CV was larger, but now I have so many more candidates with entrepreneurship backgrounds. That, he says, places more emphasis on the face-to-face interaction part of the MBA application, where he says candidates can easily falter. “The biggest risk is to be boring. You can be boring because you failed to identify in your own experience those things that are unique; and you can be boring on delivery. He recalls an applicant he interviewed a couple of years ago, who failed to mention on their CV that they worked for the duration of their studies at McDonald’s. “They sustained themselves as a student, why wouldn’t you put that on your CV? Things have changed massively, says Pascal (pictured), since he graduated from his MBA in 2010—when the program still contained a bilingual aspect, splitting class delivery between English and Spanish. That is one of the biggest changes, alongside changes to the program delivery length. Now, students can complete the Full-Time MBA at IESE in 15, rather than 19, months, in line with market demand for shorter programs. International modules are all the rage nowadays. On the full-time MBA at IESE, international modules in September and January of the second year take students to Sao Paolo or New York, Nairobi or Shanghai. Students can undertake a full two weeks in Sao Paolo or New York, or opt for a single week in each. Alternatively, if they attend the international modules in January, they can choose between Nairobi or Shanghai. The changes have opened IESE’s MBA program up to a global market. Pascal says that any program worth it’s buck today has an average international split of one-third European students, one-third American (North and South) students, and one-third Asian students. Incoming international students make up for a European market that is “very difficult” at the moment. European applicants are strong, but Pascal says they often receive multiple offers from very reputable programs, which poses a challenge to some schools. There are positives for him though—there has been a surge in US applications on the IESE MBA, something Pascal puts down to the school’s presence in New York, and Latin American applications are also up.